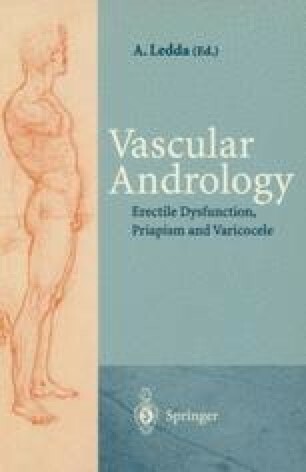 The varicocele is the most widespread andrological pathology and also the most frequent cause of infertility in men. On average it affects about 15% of the male population; however, this increases to 39% among the patients who seek help in andrological centers for infertility problems. Dilation of the scrotal vein due to valvular incompetence in the pampiniform plexus(and/or in the spermatic veins reduces the venous return in the scrotum, causing a stagnation of blood and thus increasing the testicular temperature. Testicular hyperthermia in turn reduces the number of spermatoza, decreases their morphology, which manifests itself as an increased number of spermatoza at an immature stage. The sequence of pathological events determined by the scrotal venous return initially produces a venous hypertension which is followed by edema. These factors cause a predisposition to scrotal hyperthermia . The damage resulting from scrotal hyperthermia includes testicular hypotrophy and oligospermia, which tend to deteriorate while the hyperthermia persists. It is therefore important to ascertain all the alterations present in patients with varicoceles, obviously starting with an analysis of the seminal fluid, by means of a sperm count, followed by a complete echographic work-up.